Use this link to read a message from Alan Fierstein, which discusses our measurement and consultation philosophy. Mr. Fierstein is the founder and president of Acoustilog, Inc., a firm which has provided acoustical consulting services and manufactured acoustical test gear and recording studio equipment since 1976. Mr. Fierstein has had 56 years of experience designing custom electronic systems, and has acted as acoustical consultant for such diverse establishments as recording studios, discotheques, printing plants and residences. Mr. Fierstein has authored many articles in the sound engineering trade journals since 1976, has given numerous lectures on acoustics before various professional organizations and has been featured in many magazine, newspaper, and TV specials. He is regularly called upon to testify as an expert witness in court. He was the consultant invited by the N.Y. City Council to advise them on the DEP's proposed new Noise Code. Mr. Fierstein is a member of the National Council of Acoustical Consultants, the Audio Engineering Society, the Acoustical Society of America and ASTM. He is licensed by The California Institute Research Foundation to utilize the Time Delay Spectrometry method of sound measurement. 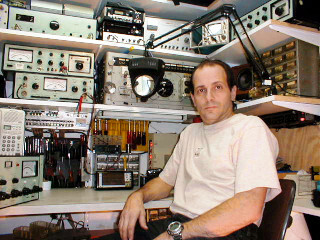 He is the inventor of the Acoustilog Reverberation Timer, used by over 150 acoustical consultants, universities and engineering firms internationally, and he holds U.S. Patent # 5,402,119 for an acoustical cockpit warning system for aircraft. Mr. Fierstein has designed and maintained numerous recording and film transfer operations, and was the owner of Sorcerer Sound, a two-room 48 track recording facility in New York City that had a long and successful history, closing in 2003. Among the studio's many notable projects was the 2003 Grammy Winning Record of the Year, Norah Jones' "Come Away With Me"
Acoustilog has no junior consultants. When you hire Acoustilog, you get the President's services full-time, not an associate of a large organization, with only a few years of experience (less than 10). Even if you get the Principal at another firm, they may be too busy supervising the other jobs of their "junior" or "senior" associates. 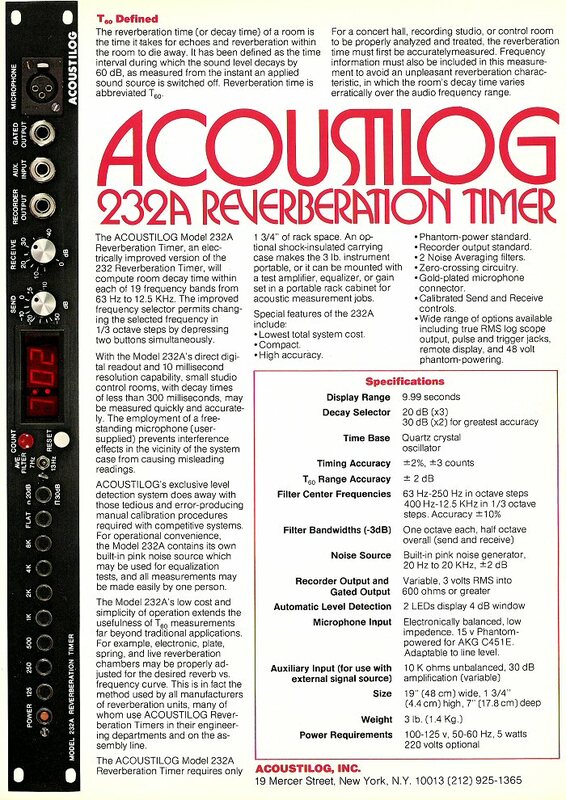 The thousands of jobs Acoustilog has done have had one consultant exclusively, Alan Fierstein. You should consider how important a factor that is. Acoustilog's office is downtown near Canal Street. Using subways exclusively for local trips, help can usually arrive at Manhattan locations within 20-30 minutes of receiving an emergency call. Acoustilog is also available for jobs in the outer boroughs, Long Island, Upstate N.Y., New Jersey, Connecticut and more distant locations. We return phone calls promptly.